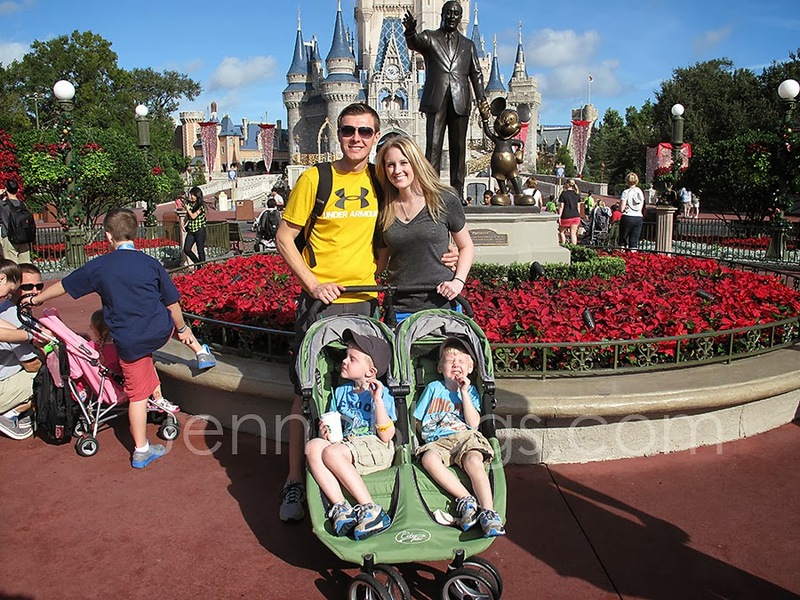 Last week we left snowy, icy, freezing cold Arkansas for the warm, sunny, dare I say magical state of Florida. Back in October I posted that we were planning a trip to Disney (and you left tons of your great Disney tips HERE) and then we told our kids about it (find out how we went about that HERE). I've been thinking about how I should post about our trip and I decided that first I would talk about what we did at the parks and then I would write up a post of my tips based on what we learned there. Also, dining is going to be it's own post because there is just too much to say! Edited: My tips post can be found HERE and my dining post (where to and where NOT to eat) can be found HERE! So up first, is Magic Kingdom! Our trip was Monday - Monday, so we spent our first and last day at Disney World. It just seemed fitting and we knew it would start us out and end us on a good note! We got in at midnight so our first park day was actually on Tuesday. The weather was fantastic - we were sending pictures to our family of us in shorts and tshirts (it was about 12 degrees at home!). Here we are right after walking into the park for the first time. We stopped at Starbucks along Main Street which I didn't realize was there! The Disney Starbucks cups totally win over the red holiday cups! Our first stop? The teacups of course! We headed back to Fantasyland first because that's where most of the kid rides are. I'll talk more about FastPasses in my tips post but we didn't get many that first day - mostly because we didn't understand how it worked. 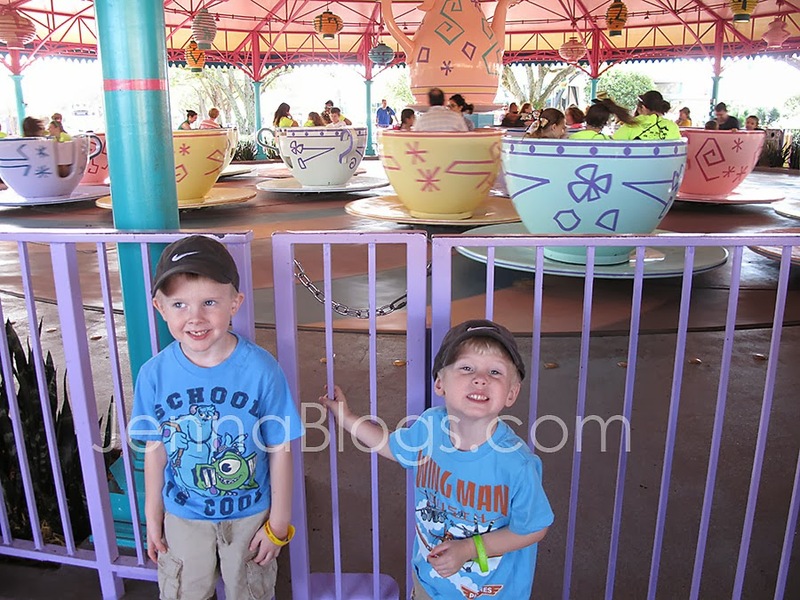 I'll also talk about crowd calendars, but I planned this trip during one of the least busy times at Disney. It was a 4 out of 10 for crowds. We didn't have very long waits for any ride at all! One of the newest rides in the Journey of the Little Mermaid. We loved this one! Ursula is at the end but it's really not scary. 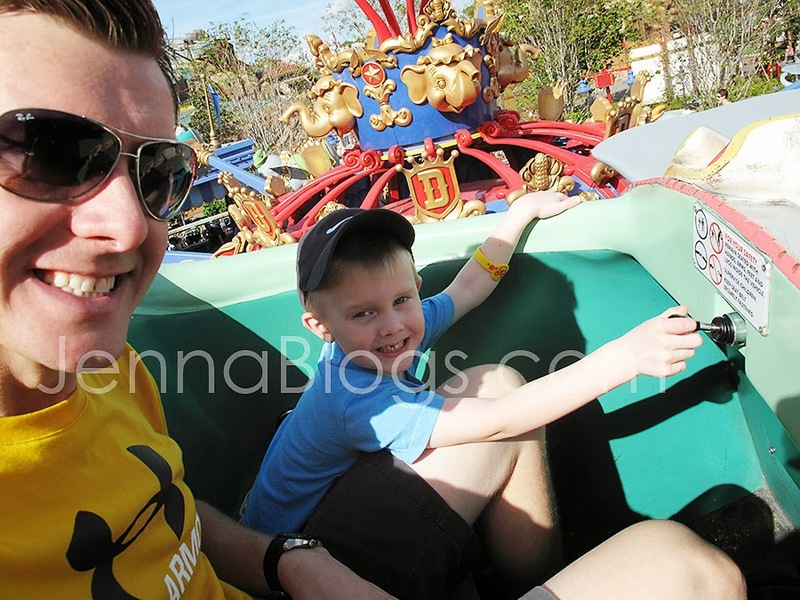 I was concerned about several of the rides and how Brayden would do because he does scare easily but he did pretty well! 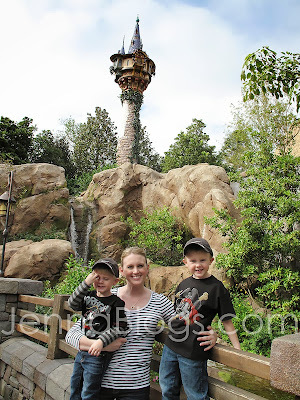 They're also building a Seven Dwarfs ride right now that looks AWESOME! 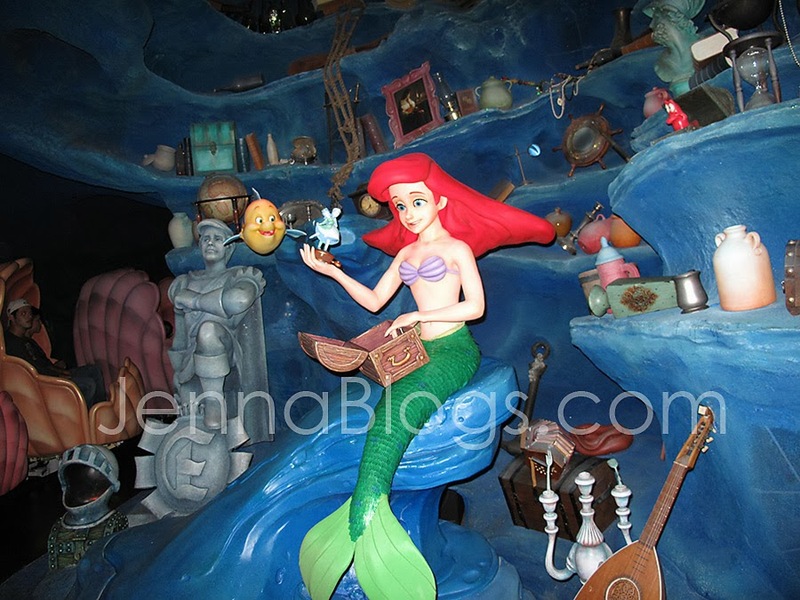 The Jungle Cruise was temporarily renamed the Jingle Cruise. My kids really loved this one, except for the fact that there are no drops. Brayden wanted more thrill, ha! 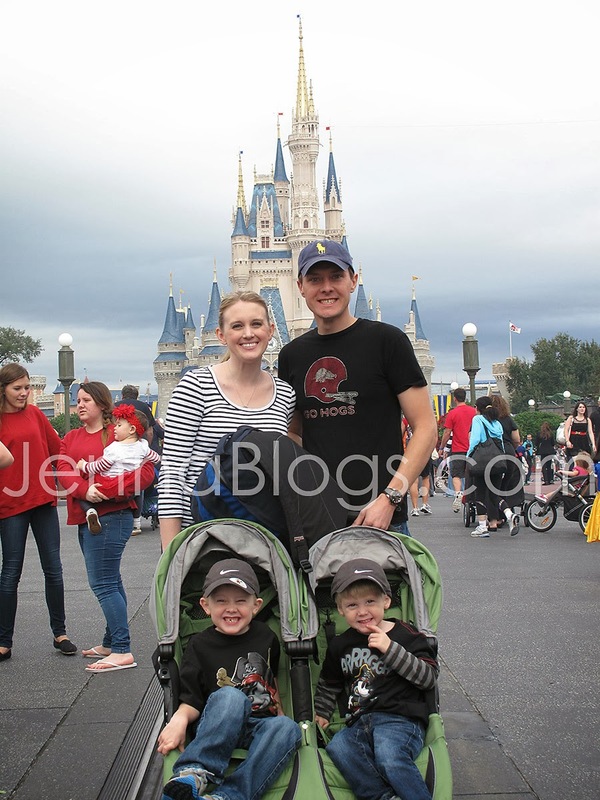 All of the next group of pictures are from Day 2 at Magic Kingdom which was our last day at the park. It was overcast and cooler but really it was great weather the whole time! The boys and I posed in front of Rapunzle's tower because Tangled is my favorite Disney movie! 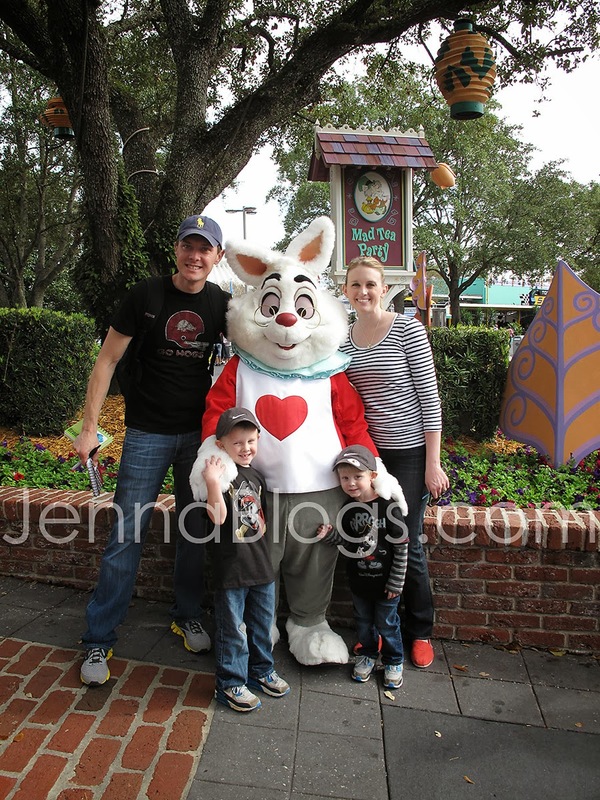 The White Rabbit is the only character we actually met at this park and that's only because there was no line! 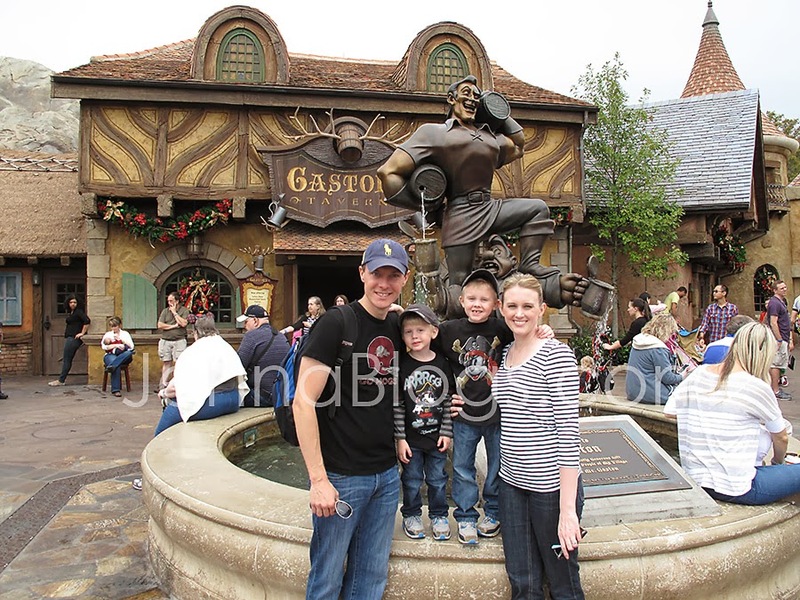 In front of Gaston's Tavern. 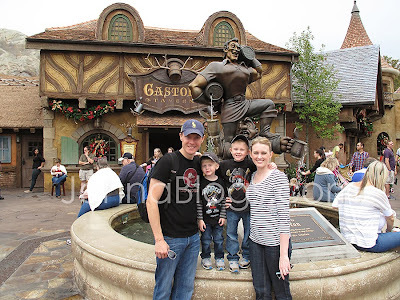 We were going to meet Gaston but he took a break right after we walked up. He told us to "enjoy the view" as he walked away, haha! 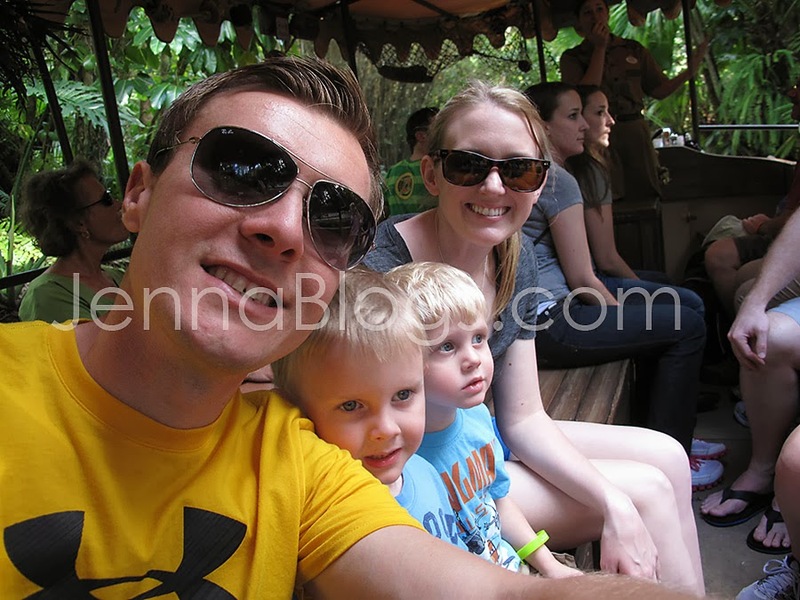 We also went on my favorite ride, Pirates of the Caribbean, the Haunted Mansion, Big Thunder Mountain Railroad, Peter Pan's Flight, the Winnie the Pooh ride, It's a Small World, Buzz Lightyears Space Ranger Spin, Barnstormer, Astro Orbiter, the Tomorrowland Speedway and to the Monsters Inc Laughfloor. If you're planning a trip to Disney World, I highly recommend starting and ending at Magic Kingdom if possible. You may not like the other parks as much but beginning and ending with the best is sure to keep everyone happy! 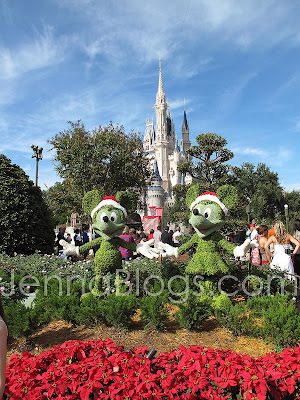 Dining at Disney - Must Do's and where NOT to go!